Based in Hebden, nr Grassington, North Yorkshire. Lime mortars enable older buildings to breathe by allowing damp to evaporate. But they can also add a softer, authentic look to garden or boundary walls. Local authories and heritage groups are often keen on its use for buildings/features of special historic value or within designated conservation areas. Using lime will help your carbon footprint as it is a carbon neutral process. 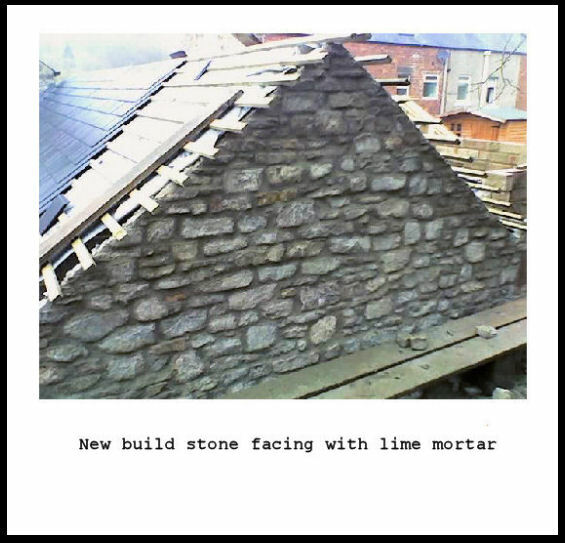 Carbon released during the manufacture of lime is re-absorbed as the lime	mortar hardens. We have experience of new build stonework and conservation of older solid wall construction. References are available and all work is fully insured.